​Interviewing candidates for summer internships and full-time positions in major cities nationwide. ​Visit their website at allresco.com for more information. ​Interviewing candidates for summer internships, part-time employment, and entry-level positions nationwide. Visit their website at americancruiselines.com for more information. ​Interviewing candidates for full-time and part-time positions located in Arlington, VA and Fairfax, VA. Visit their website at ancc.org for more information. ​Interviewing candidates for Manager-In-Training positions in the DC Metro area. Visit their website blueridgerestaurants.com for more informaiton. Boar's Head is Charlottesville's Only Four Diamond Resort. Boar's Head is a quintessential Virginia resort, offering a warm, intimate ambiance, exceptional service and unparalleled Southern hospitality. Located on a bucolic 573-acre country estate, our 4-Diamond resort offers 175 newly-renovated guest rooms and suites, 4-Diamond dining in the Old Mill Room, a wide variety of world class recreational activities, spa and 22,000 square feet of meeting facilities for groups of 20 to 630. Owned and operated by the University of Virginia Foundation, Boar's Head is just minutes from the University of Virginia that was founded by Thomas Jefferson, only two hours from Washington, D.C., and at the foot of the beautiful Blue Ridge Mountains. Interviewing candidates for internships, part-time, and full-time positions in Charlottesville, VA. Visit their website ​boarsheadinn.com for more information. Interviewing candidates for summer internships and full-time positions in Massachusetts, New Jersey, Pennsylvania, Maryland, DC, and Virginia. 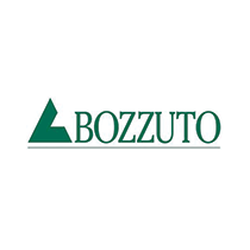 Visit their website bozzuto.com for more information. Interviewing candidates for summer internships in Palm Beach, Florida. Visit their website thebreakers.com for more information. Interviewing candidates for part-time team members, full-time shift supervisors, and full-time managers nationwide. Visit their website brueggers.com for more information. Interviewing candidates for summer internships in Williamsburg, VA. Visit their website watercountryusa.com for more information. The vision for Carmel Country Club began over 65 years ago and has shaped Carmel to become the foremost family Club of the Queen City. Carmel is known for offering the best in amenities and activities for over 1,400 members, which includes two championship 18-hole golf courses, 12 tennis courts, Golf and Tennis Pro Shops, “Resort style” pool complex with social and dining areas, as well as a 2,500 square ft. fitness center. The elegant and welcoming Clubhouse hosts gala events in the Ballroom, upscale wine dinners, intimate celebrations and sensational dining options at the family friendly Grill. The mission of Carmel Country Club’s internship program is to find the best young men and women who aspire to be in Club Management, and educate them on all of the different facets of a premier club. Carmel offers a management internship, which lasts the duration of the summer, in which individuals are able to learn about the daily operation of the club, as well as practice and get coached on positive management and leadership styles. Interviewing candidates for summer internships in Charlotte, NC. Visit their website ​carmelcountryclub.org for more information. Interviewing candidates for Manager-in-training positions nationwide. Visit their website compass-usa.com for more information. Interviewing candidates for summer internships, part-time, and full-time positions in the DC metro area. Visit their website chrco.com for more information. ​​Interviewing candidates for Manager-in-training positions in Atlanta, DC, Chicago, and Virginia Beach. Visit their website ​crestlinehotels.com for more information. Interviewing candidates for summer internship positions in Northern Virginia and nationwide. Visit their website destinationhotels.com for more information. Interviewing candidates for summer internships, part-time, full-time, and manager-in-training positions in Northern Virginia, Maryland, and Ranson, West Virginia. Visit their website glorydaysgrill.com for more information. Great American Restaurants owns and operates twelve high volume, upscale casual restaurants in the Washington D.C. market as well as an artisan bakery, Best Buns Bread Company. All of the restaurants of this wildly successful privately owned company emphasize high quality, from scratch cooking in a friendly, service-oriented environment. Annual company sales exceeded $100 Million in 2012 with annual unit volumes ranging from $5MM to $12MM. Selective expansion in premier locations in the Washington D. C. market is an ongoing high priority and our newest Coastal Flats is now open in Gaithersburg, MD. Interviewing candidates for manager-in-training positions in DC Metro area. Visit their website greatamericanrestaurants.com for more information. Interviewing candidates for summer internship positions in New York City, Las Angeles, Napa Valley, Miami, Dallas, and Chicago. Visit their website hillstone.com for more information. Interviewing candidates for various summer internship positions nationwide. Visit their website news.HiltonWorldwide.com for more information. We are a global hospitality company with widely recognized, industry leading brands and a tradition of innovation developed over our nearly sixty-year history. Our mission is to provide authentic hospitality by making a difference in the lives of the people we touch every day. We focus on this mission in pursuit of our goal of becoming the most preferred brand in each segment that we serve for our colleagues, guests, and owners. We support our mission and goal by adhering to a set of core values that characterizes our culture. Interviewing candidates for summer internships and full-time positions. Visit hyatt.jobs for more information. Interstate’s Summer Internship Program provides motivated and hardworking students the opportunity to gain practical experience with the leading U.S.-based global hotel management company. The program lasts approximately 10 weeks, and offers three distinct training programs: Rooms Division, Food and Beverage and Hotel Operations. Take your classroom learning to the next level by supplementing it with real world work experience and training from an industry leader. Over the summer you will train in different areas of the hotel to gain a complete understanding of how each department operates, and what success looks like for Interstate Hotels. You will come away with a well-rounded understanding of management responsibilities, department best practices, and overall hotel operations. Also, you will have a dedicated mentor and regular contact with hotel and corporate leadership to help and give you feedback throughout the program. Hotel Locations will vary and include both Full Service and Select Service properties across the U.S. Participants in the Internship Program will earn a competitive wage and are eligible for travel benefits during time-off. Select host hotels offer accommodation for the summer / temporary housing assistance at the beginning of the program to allow you time to find your own summer accommodation. If no housing is offered by the hotel, Interns must be prepared to locate their own accommodation for the duration of the summer. Interviewing candidates for summer internship positions in Virginia, Florida, California, Vermont, Utah, and Texas. Visit their website interstatehotels.com for more information. Jason’s Deli is the fast paced, high volume, deli-style restaurant. We set the standard for our niche and we continue to work hard to give our employees and customers the appreciation they deserve! Advancement with Jason’s Deli is based on performance, knowledge and leadership. If you possess energy, drive and the will to lead, Jason’s is the company for you. Jason’s takes the time to appreciate our employees and we reward them with advancement, recognition and quality of life. Interviewing candidates for summer internship positions nationwide. Visit their website jasonsdeli.com for more information. ​Kitty Hawk Kites is looking for passionate individuals to help us be the leading company in adventure recreation and retailing. Interviewing candidates for summer internship positions in The Outer Banks, NC. Visit their website kittyhawk.com for more information. Landmark Hotel Group is a leading hospitality company specializing in the management, ownership, and development of fine hotels. Founded in 1983, Landmark has built a reputation for quality hotels, exceptional service, loyal associates, and unwavering integrity. With a current portfolio of eleven hotels, the company has strong relationships with leading hotel franchisors such as Hilton, Marriott, Intercontinental Hotels Group, Carlson Worldwide and Choice Hotels. 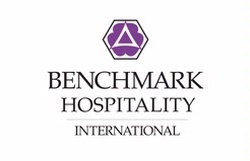 Landmark Hotel Group is headquartered in Virginia Beach, VA and employs over 400 hospitality professionals. Landmark's focus has been to deliver genuine, heart-felt service - service to our guests, service to our community, and service to each other. Our company's culture can be best described as a family joined by a shared set of values, vision, and mission. Our success is driven by our people - a pool of dedicated team leaders and associates. The hallmarks of our culture are quality, integrity, and service. If this sounds a place for you and share the same values.... Join Us! 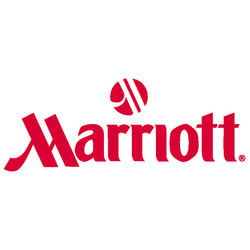 Marriott International, Inc. is a leading hospitality company with more than 3,900 properties, 18 brands, and associates at our headquarters, managed and franchised properties around the world. Founded by J. Willard and Alice Marriott and guided by Marriott family leadership for more than 80 years, the company is headquartered in Bethesda, Maryland, USA, and reported revenues of nearly $13 billion in fiscal year 2013. Wednesday, February 17th Information Session: Meet the Marriott team and learn about our new Voyage program. Mandatory for those being interviewed; other interested students are welcome to come to learn about our company and future opportunities. Thursday, February 18th – Interviews will be conducted for opportunities in our Voyage Global Leadership Development Program for students graduating spring and fall 2015 graduates. Mountain Lake Lodge is located in Pembroke, VA about 20 minutes from Virginia Tech's campus. It is nestled atop Salt Pond Mountain on a 2,600 acre nature preserve. The Lodge offers guests overnight accommodations in a traditional hotel rooms as well as cabin homes and everything in between. It also features an on-site recreation department, full service restaurant and tavern, as well as a sales department that coordinates everything from weddings to corporate team building excursions. Positions in several different departments will be available. Interview candidates for full-time positions in Pembroke, VA. Visit their website mtnlakelodge.com for more information. Promoting hospitality as an industry in Nashville. We will be promoting a jobs board created for the industry by the NCVC, Hospitality Works. We will also serve as a connection for students looking to relocate or find jobs in Nashville. For more information visit their website at visitmusiccity.com. ​ naturalbridgeva.com for more information. Join Panera Bread, an industry-leading, award-winning company. We are growing and so will you! Work Passionately. Panera's culture and impact on our customers and communities start with you. We build relationships with each other and our customers based on respect and honesty. Your daily contribution makes you an important part of what we are as an organization. Being a manager at Panera is not just another job, it is a place to discover the warmth and energy of a lifestyle enhanced by bread. We are shaping food culture within the restaurant industry through our pride and commitment to innovation and differentiation. The awards we have received recognizing our great food and our customers' satisfaction make us proud to be Panera Bread.We care about your future. Our continued success has created excellent career and personal growth opportunities for more than 25 years. We offer a place for everyone to feel the warmth. Our associates are empowered to be their best authentic selves every day. At Panera Bread our culture of warmth provides an environment which allows us to be ourselves, while embracing diverse backgrounds, values and beliefs. Your talents and our vision combine to provide opportunities that promote your individual development and our continued success. Finally, we are a franchisee of Panera Bread, known in the Central and Western part of Virginia as Blue Ridge Bread, owning 14 locations in Virginia with 1 in West Virginia. We are looking for eager Hospitality & Tourism Students who have had supervisory/leader experience (internships included) and are looking to grow their career in Food Service Management. **If you have had experience, please select YES to question 5 regarding whether you have had restaurant/retail management experience in the last 5 years. Interviewing candidates for summer internships, part-time, full-time, and manager-in-training positions in Frederick, Maryland, Altoona, Pennsylvania, and Grovestown, Georgia. Visit their website plamondonhospitalitypartners.com for more information. Interviewing candidates for full-time positions in Hot Springs, VA. Visit their website omnihotels.com for more information. Interviewing candidates for summer positions in DC, Maryland, and Virginia. Visit their website otodevelopment.com for more information. Interviewing candidates for part-time and manager-in-training positions in Virginia and Nationwide. Visit their website redrobin.com for more information. Interviewing candidates for summer internships in Roaring Gap, NC. Visit their website roaringgapclub.com for more information. At Salamander Resort & Spa, we look for people who are passionate about service and have a hunger for learning new skills. We believe in the power of teamwork and the professional development of our team members. With our employees being our greatest assets, we are committed to providing competitive wages and benefits, the best training, a safe and enjoyable work environment along with many opportunities for advancement to ensure a very rewarding career. We take great pride in our dedicated and diverse team of employees. Interviewing candidates for summer internship positions in Charleston, SC. Visit their website discoverseabrook.com for more information. Interviewing candidates for full-time positions nationwide. Visit their website shakeshack.com for more information. Interviewing candidates for summer internship and full-time positions in The Outer Banks, NC. Visit their website twiddy.com for more information. Interviewing candidates for full-time positions in Chicago, Detroit, Cincinnati, Minneapolis, St. Louis, Philadelphia, Dallas, and Atlanta. Visit their website villagegreen.com for more information. Interviewing candidates for full-time and part-time positions during the summer months in Virginia Beach, VA. Visit their website visitvirginiabeach.com/conventioncenter for more information. Interviewing candidates for full-time and part-time positions during the summer months in Virginia Beach, VA. Visit their website virginiabeachhotelassociation.com for more information. White Lodging is dedicated to its mission of maximizing the value of every asset as well as its core values of growth, leadership excellence, impact, accountability, ethics, and genuine care. This has led White Lodging to become one of the largest and fastest-growing independent hotel ownership, development and management companies in the country, with over 9,000 associates and more than 160 managed hotels across 21 states representing our brands of Marriott International, Inc., Hilton Worldwide, Hyatt Global, Starwood Hotels and Resorts, and InterContinental Hotel Group. In the next 24 months, White Lodging will have more than 20 additional openings as the company moves forward to reaching $2 billion in managed sales and more than 200 premium-branded select and full service hotels by 2018. Interviewing candidates for summer internships and full-time positions nationwide. Visit their website whitelodging.com for more information.